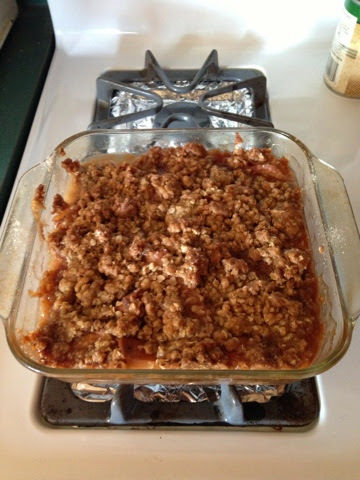 This is a fresh take on an old classic apple crisp. Pears are in abundance this time of year and I had a yearning for something a little sweet and so this pear crisp recipe was born. First, place sliced pears into an 8 inch by 8 inch baking dish (that has been buttered). Then combine cinnamon, granulated sugar, and 1 Tb. of flour. Sprinkle over pears. Then combine remaining dry ingredients and butter. Sprinkle over pears. Bake at 350 degrees for 45 minutes. This came out of the oven bubbly and smelling fabulous. We added whipped topping (although if I had vanilla ice cream that would have been tempting). Enjoy on a cold winters day.